Sanctuary is a collection of daily thoughts and insights designed to encourage the reader to come into the presence of God to praise Him, to hear Him and be healed and restored by the wonders of His love and faithfulness. Sanctuary is not meant at all to replace daily Bible reading but instead aims to stimulate, inspire and refresh you by helping you go deeper into His love. Reflecting on the nature of God, Sactuary contains exciting testimonies and encouragement to pursue the Lord for spiritual gifts to be evident in our everyday lives. Each day is arranged so you can coincide your reading with the date order or at your own pace using the numbered days. At the end of each day's reading there is a short prayer as a source of inspiration for further meditation. 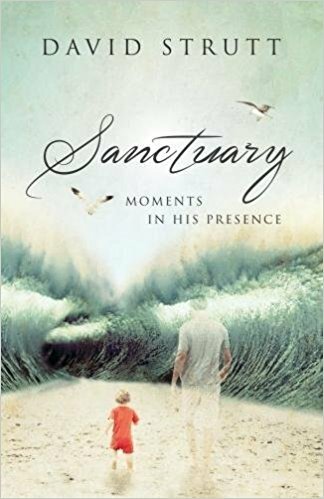 Sanctuary by David Strutt was published by Malcolm Down Publishing Ltd in September 2017 and is our 23279th best seller. The ISBN for Sanctuary is 9781910786772. Be the first to review Sanctuary! Take a peek at some articles related to Sanctuary. Got a question? No problem! Just click here to ask us about Sanctuary.